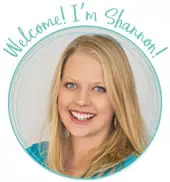 by Shannon Clark in Family Budget | 22 comments | Contains affiliate links. These budgeting tips will help you set up your budget categories, how to do a spending analysis, and get on your way to your personal finance goals, fast. I‘m going to warn you. This might be a shocking experience. 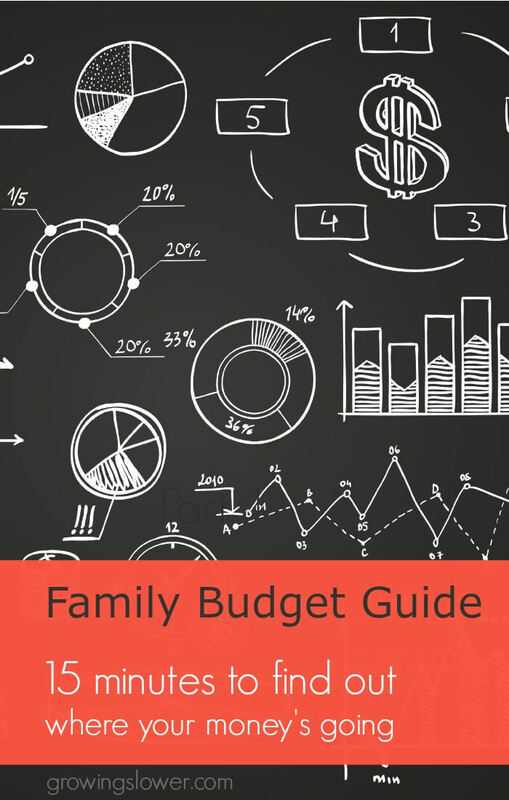 The first step to making a budget that works is to know what your spending habits are right now. Because I know you don’t want to spend hours mulling over your bank statements, today I’m going to show you how to analyze your spending, fast. When there never seems to be quite enough at the end of the month, but you’re not quite sure where it’s all going, and quite frankly, you’re a little afraid to find out? Ya, I’ve been there too. I tried so hard to keep a budget for years before I finally learned a few simple changes that made it so much easier! And that’s when we started making big progress on our journey to debt free! The biggest problem with our budget wasn’t that there wasn’t enough money, not really. It was that we didn’t even know where our money was going! That fear of the unknown led to a lot of stress surrounding our finances. Here’s the great news! As soon as we got a clear picture of our finances and started working toward our plan for financial freedom, all that underlying anxiety disappeared. Even before we ever pinched an extra penny or made an extra loan payment, we were feeling more free already! I hope the same will be true for you too! So here’s how we’re going to do it. 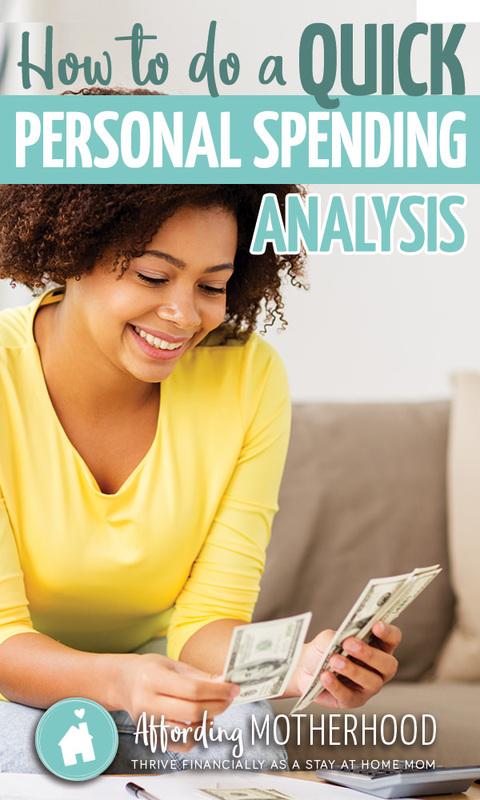 How to Analyze Your Spending, FAST! When I first started out budgeting, I gathered all of our bank statements and receipts from the previous month, and laboriously entered them into a spreadsheet. Then I tried to make sense of what we were spending. It took hours and hours of my time and concentration away from my family and the things I would much rather be doing. Then I found a huge shortcut. It took a tiny fraction of the time. There are a few other online budgeting tools out there, but none that are honest-to-goodness completely free. That’s what made Mint most appealing to me when we were starting out on our journey to paying off our debt. When I signed up and started adding my accounts, it imported the previous months’ of transactions. It even started categorizing that spending automatically into different budget categories. That means 80% of my budget analysis was done for me in minutes, without the hours of studying bank statements! I was able to add and track every different account including savings, checking, credit cards, all our student loans, and even Paypal! If you use Mint to start analyzing your spending, you will need to go through and double check that the budget categories for each transaction are correctly assigned. This is the point where you’ll need to make some decisions about which categories to use for your budget. You can see from the image above that Mint has many different categories available, plus you can create your own custom categories. In my experience, you want to have enough categories that it gives you a clear picture of your finances but not so many that it gets cumbersome to manage. I started out with 10 categories and didn’t find that to be enough to really see where our money was going. I now have about 3 dozen. If there’s a particular category where you have struggled in the past, I’ve found that the more you break it down, the easier it is to see where the overspending is happening. This was the case for our grocery budget. It really helped when I started breaking out food separate from household supplies like toilet paper and shampoo. Your categories could be very different from mine, but at least this will help get your wheels turning. Don’t worry too much about getting it perfect. It’s very easy to change as you continue to refine your budget. That’s it! You don’t have to worry about making any big changes to your spending just yet. I’m sure it’s inevitable to start thinking about how much you should be spending and where you could start saving. I’ll be sharing more about all that in the next post! I tried and failed at budgeting for years before I finally found the few simple shifts that made it stick! If I hadn’t tried just one more time then I might never have known the feeling of financial freedom or being debt free! You might have tried to make a budget before. You might have even tried to manage your budget with Mint and since let it slide. That’s ok! Don’t be afraid to try again. What challenges have you had with budgeting in the past? What’s working for you right now? 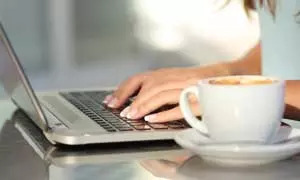 You can do the same thing for free with your banks online budget program: it allows you to make different categories for each expense/income, and you can use different formats to find each total…like a pie chart, or simple lists. You can input a different time frame (like 1/1/15 through 2/1/15 to get a monthly breakdown of what you spent that month, or for 2 months or 6 months, etc.) and I do it at the end of each year to total my expenses for taxes. I have done it for years. Thanks for the tip Carol! I think the key for me choosing Mint came down to having to a little more automated. I’ve found I need to reassess my spending at least monthly in order to truly stick to a budget. Spot on with this advice! It’s eye opening to see exactly where all your money is going, especially when you start adding up the “little” purchases. Mint.com was a great start in the right direction for me. I will say, however, that we eventually had problems with Mint. It started reassigning categories, sometimes months back, and we would have to scroll back through several months to get our budget back on track. We eventually paid money for a budgeting program, and it was Totally. Worth. The. Money! YNAB (You Need A Budget) sounds cheesy, but is excellent! 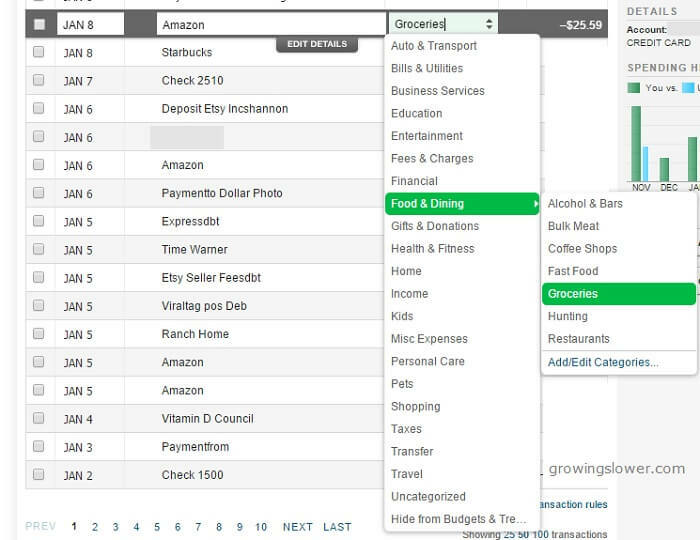 With Mint.com and Excel spreadsheets, you’re reactively tracking how the money is spent and giving yourself parameters based on that information. With YNAB you are proactively assigning each dollar a job. The program is set up so that you eventually (if not immediately) budget for this month using last month’s income. That way you know EXACTLY how much money you’re working with, and can plan accordingly. Hmm, tight month, we’ll limit our restaurant budget. Bonus this month! Excellent, our vacation is coming up, we’ll add it to the vacation fund. And you can do this knowing you’re not robbing from savings or gas because you already know to the penny how much money is available for the budget. Genius! I am with you! Mint is far from perfect, but it does have the advantage of being free. :) I have heard fantastic things about YNAB, and when I feel a little more stable in our income, I would like to try it out. I really like that it’s a lot easier to do a zero sum budget with YNAB, but I have figured out how to do it by hacking Mint. :) I’ll be sharing that in another post soon! Our CU doesn’t work with Mint, do you have any other starting budget systems that you could recommend? Mvelopes allows you to add 4 accounts free. You might try that. We had many more than 4 accounts, so it didn’t work for us. I have heard excellent things about YNAB (You need a budget) but unfortunately it’s not free. I believe it’s $60 for the software. I have used MoneyDance (similar to Quicken, but for Macs) and Quicken for more than 15 years. People think I am nuts for entering my checks and receipts but it allows me to balance my checkbook essentially- maybe not the way our moms did it, but close enough. But more importantly, I use it to track our spending. I spot check periodically to see how we are doing with regards to our budget (when we are following it- working on that area!). I really use it around tax season, both for tax records, but also to do a “Financial State of the Union”. I run the reports to see where we spent money. I get annual reports from our credit card company too, also showing where the money goes. It’s always staggering and eye opening, and allows me to know where I need to tweak the budget and what we are doing wrong and what we are doing right. Thanks for sharing these great ideas! You hit on such a great point. No matter how you choose to track your expenses, finally seeing where your money is going can be staggering and eye opening! And it can really help you get control of where your money is going. Thank you, Shannon. I will definitely show my husband the link you shared. He said our bank account has a budget element to it so I will check it out. I just really liked the way Mint.com is set up so we’ll see. As an aside…my husband does all the bills, always has. It is not my strength at all. To be honest every time we discuss money we get into an argument so I thought perhaps I could monitor our spending on the peripheral (using Mint.com) while he continues to do the bills. I was hoping to just gain some knowledge of our habits and understand what it is he does every month. It is important to read the fine print from your bank. Often times if you give out your password the bank will not cover you if something happens. You can also go the Dave Ramsey method and just use cash. Using a regular excel spreadsheet is quite easy for this. The bill money stays in the bank to pay the bills, the savings can go into different savings accounts but the rest of the money is withdrawn and put into physical envelopes and you pay for everything with cash. So you always know exactly where your money is going because you will physically see it leaving your hand to pay for it. When the envelope is empty, your money for the month is gone and you have to wait until next month to buy anything more in that category. It forces you to set up a budget ahead of time so you know how much money will go in each envelope each month. We ran into one issue where gas stations like Costco don’t allow you to pay cash so we got a 2nd checking account and transfer the gas money to that account and only take the debit card for that account with us. We don’t use the debit card for our other checking account because that has exactly enough money to pay the bills for that month and we pay our bills online from our bank’s website. We can even schedule it to go out on the days the hubby gets paid. It seems every time I think I’ve got a handle on what my families expenses are something big happens to cause a major change in the month to month before I can make an actual budget pertaining to what we have coming in and going out. For example just this week my husband experienced a job change just when I was sure how much we could expect to have left over at the end of the month as long as we stuck to a budget and didn’t go crazy spending on extras and eating out. Now I have to start over completely. Luckily while he was switching jobs I was able to pick up two permanent/semi-permanent work from home gigs to help make up for some of the money we lost in the transition. Hopefully all goes well and I will end up having added an extra $500 or so to our budget. Of course ideally it would be nice if I could double or triple that number to put us in the ideal situation. I’m really hoping a budget could help to make up for some of this, my husband seems to think that what I’ve been doing so far is great. I’ve cut the grocery budget some using coupons and by watching sales. Plus the added income I’ve slowly been growing over the last two months. 1. See the YNAB (You need a budget post above). 2. YNAB has categories called rainy-day budgets which make you think about expenses that don’t occur monthly. 3. It’s okay for expenses to fluctuate month-to-month and a good budget plan will allow for this. 4. If you plan using last month’s income, discrepancies in income month-to-month also won’t be a problem. Mint.com is for tracking expenses. A budget should be about setting a plan and sticking to it. I recently started using mint. I love it. The problem i have sticking to my budget is there always seems to be an unforeseen need and the money i try to save gets spent. Any suggestions? Establish an “emergency” fund of $1000 ASAP. Do whatever you need to do to get it started. Sell the family cat. ;o) Whenever something unforeseen comes up, you use the money out of your emergency fund instead of credit or regular savings. Replenish your emergency fund and keep it at the $1000 mark. I want to get rid of the financial burden I am under. I made a list of everything I can do from trading up an item daily- just ask people what they would trade you for a paperclip and keep trading until you get something worth selling, then sock it to a debt. I want to share ideas to see if I can get friends to join me so we encourage others. Hope this sparks ideas! In 1998, I signed up with a budget and credit counseling service. I made double payments and became debt free in two years. The service provided me with a similar “paper” app. I put it in Excel and used for years. I recently began using it again. What I love about your picture is the drop-down list. I’m going to update my spending sheet with it. It will be more efficient. Great Emily! It’s always nice to make budgeting go a little faster.